I was born in German in 1953, came to Australia in 1983. I also lived in Canada and Papua New Guinea and have been working as a full time sculptor since 1990. 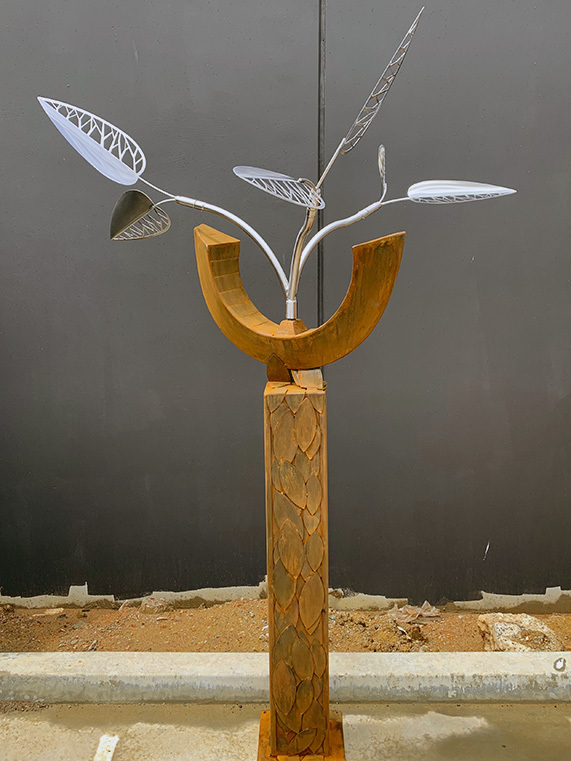 In 2010 I decided to shift the focus of my work to kinetic sculptures, by combining my passion for beautiful design with my technical engineering skills. The majority of my kinetic sculptures are wind driven and react to the forever changing wind and light conditions created in the environment. I have created several sculptures projects for companies like: AV Jennings, Lend Lease, Emirates Airlines, Leederville and Westfield Group. I have made kinetic wind sculptures for the following institutions and private companies: Owernewton College Keilor, Trinity College Colac, Box Hill Hospital, Trinity College Melbourne University, Murdoch Institute at the Royal Children’s Hospital, Bird In Hand Winery SA, St Genevieve Estate Diggers Rest, The Royal Melbourne Hospital.